We find out about the new LegalTech North conference that’s happening here in November. LegalTech North takes place on Thursday 22nd November at The Hubs on Paternoster Row and the Sheffield Digital community are invited to attend a free special event as part of it. We spoke to Matt Pennington, one of the conference organisers, to find out more. Matt is part of the team at QuoteXpress, based at Sheffield Tech Parks. QuoteXpress is a quote and referral tool for legal matters, which also helps law firms comply with new pricing transparency regulations coming into force at the end of this year. QuoteXpress has been about five years in the making. What was the driver behind organising LegalTech North? It started with us becoming interested in the Legal Hackers movement, which is a global movement of lawyers, policymakers, designers, technologists and academics who are interested in how technology can improve the practice of law and in how law needs to respond to rapidly changing technology. We set up a Sheffield chapter as a way to build relationships between tech firms and legal firms in the city. Even though legal tech is a fast growing sector, there are very few people involved in it locally. Legal firms are not applying technology because they are not aware of what’s available and technology people aren’t creating solutions for the legal sector because they are not aware of the problems and opportunities. A group of us felt that an event would be a great way to bring people together and educate both sides about what is out there and what other people have done. We hope to attract people from all over. Most LegalTech events tend to be London-centric, but there are companies in Hull, Liverpool, Manchester and so on – we want to showcase what we have up here. We’d also like to encourage people to think about setting up here in Sheffield – we have a strong legal community, two excellent Universities, a thriving tech industry and it’s a great place to live and work. 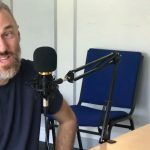 Why shouldn’t Sheffield be a LegalTech hub? What’s happening at the conference? The theme of the conference is “bridging the gap” and it will have three segments. In the morning session, we’ll hear from lawyers who have created tech from within their own firms, where they’ve seen how it improves their business and then sold their solution into other law firms. We want to get the message over that it is possible to do it yourself (although maybe with a tech partner) and that, if you think bigger than just your own firm, you could create a product that will give return on investment. The afternoon session will look at key challenges when firms are looking to adopt legal technology – from regulation and data privacy through to stakeholder buy in and resistance to change, as well as the growing threat of cybersecurity. The final part of the day will be a range of workshops from cybersecurity through to client collaboration tools, followed by a big innovation workshop which is open to tech professionals and students too. And, of course, there’ll be an after party! So the conference isn’t just for legal professionals? No, not at all – we really want tech people to attend as well. When the workshops are on we will also run a track that’s free for students and tech companies in Sheffield to come and hear about the sector. There are lots of companies in Sheffield who may not have looked at the legal sector as a vertical. Have they considered if their solutions would work in this sector, could they adapt existing or build new products? For example, technology which you might think is already widely used within the legal sector, such as electronic signature systems or even OCR, are not yet commonplace. We’re working with a few law firms across the city. Harvey Harding at PM Law has been instrumental and Joanne Chan-Shaw at Irwin Mitchell has been invaluable in bringing people together. The Law Department at the University of Sheffield are involved and Sheffield Hallam University is providing the venue. And you’ve just launched a legal technology incubator? Yes – things have moved a lot faster than we expected! 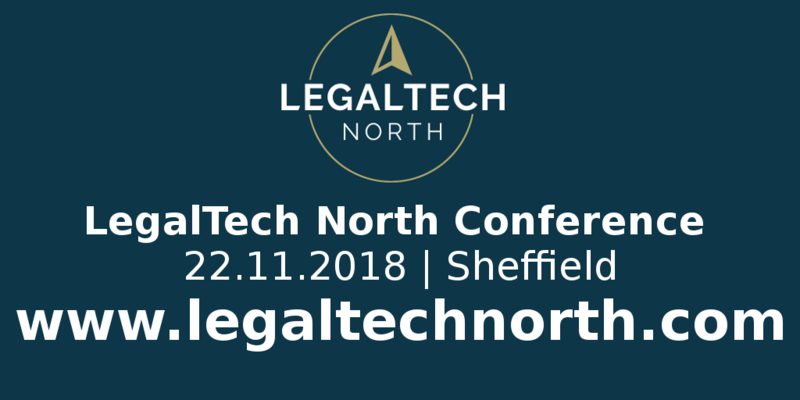 We launched LegalTech North in May this year with a vision of making Sheffield the LegalTech hub for the north of England, kicking off with our November conference. Since then things have moved at a pace, with Kollider backing our mission and providing a route for anyone with ideas for the LegalTech of the future to help get their idea idea off the ground and potentially access VC funding. Kollider are going to help market and promote the conference and, if there is enough interest, will put together a cohort to support people who are interested in setting up a legaltech business. This is not going to be a one-off event. Our aim is to start building a legaltech community here, with incubation behind it. 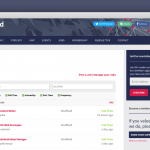 How can the Sheffield Digital community help? Firstly, by getting involved – we hope lots of people will come along to the conference and help to spread the word as well. If you want to know more about the legal technology sector please attend our free track from 3pm onwards on the 22nd November. You can register your place now through our website. Secondly, if you have applicable technology that you’d like to showcase at the conference, please get in touch. We want to promote local businesses as much as possible, so we are not charging the earth for exhibitor space. There is also a range of broader sponsorship options – again we would like to showcase local businesses through these if possible. Your product doesn’t have to be legal technology – for example there are plenty of law firms out there who could benefit form a new website, PPC and SEO too. To book your free conference place or if you want further information on exhibitor and sponsorship options please visit www.legaltechnorth.com . The South by Southwest festival takes place in March 2019 and is an opportunity to put your business on an international stage.